The international home for buildingSMART can is located at http://buildingsmart.com. 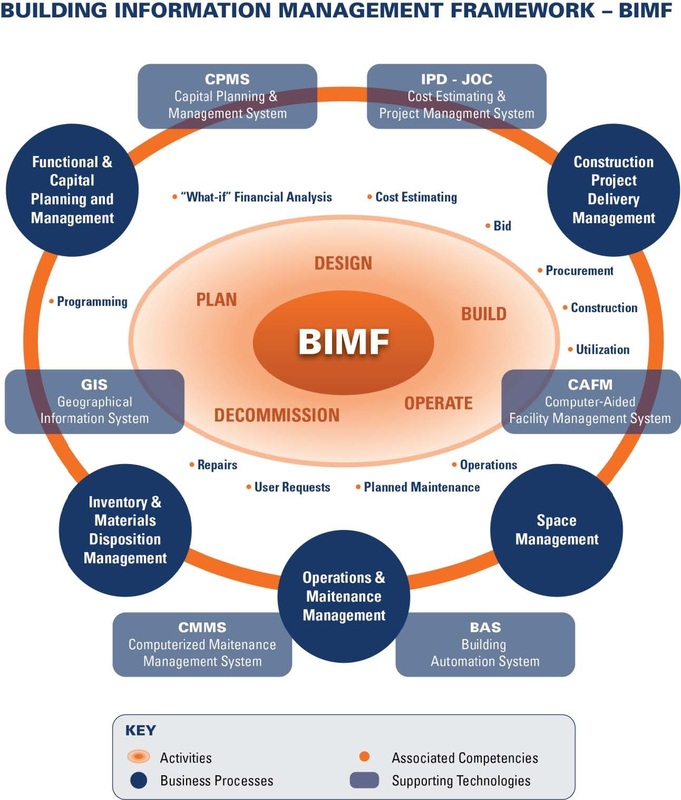 buildingSMART International – A neutral, international and unique not for profit organisation supporting open BIM through the life cycle. buildingSMART regional chapters exist in Europe, North America, Australia, Asia and Middle East. Is a BUSINESS PROCESS for generating and leveraging building data to design, construct and operate the building during its lifecycle. BIM allows all stakeholders to have access to the same information at the same time through interoperability between technology platforms. Is the DIGITAL REPRESENTATION of physical and functional characteristics of a facility. As such it serves as a shared knowledge resource for information about a facility, forming a reliable basis for decisions during its life-­‐cyclefrom inceptiononwards. Is the ORGANIZATION & CONTROL of the business process byutilizing the information in the digital prototype to effect the sharing of information over the entire lifecycle of an asset. The benefits include centralizedand visual communication, early exploration of options, sustainability, efficient design, integration of disciplines, site control, as built documentation, etc. – effectively developing an asset lifecycle process and model from conception to final retirement. OPEN BIM is a universal approach to the collaborative design, realization and operation of buildings based on open standards and workflows. widely referenced processes, allowing industry and governmentto procure projects with transparent commercial engagement,comparable service evaluation and assured data quality. OPEN BIM provides enduring project data for use throughout the asset life-­‐cycle, avoiding multiple input of the same data and consequential errors. Small and large (platform) software vendors can participate and compete on system 9ndependent, “best of breed” solutions. OPEN BIM energizes the on-­‐line product supply side with more exact user demand searches and delivers the product data directly into the BIM. The buildingsmart-tech.org website is the international website of two long standing sub-committees of buildingSMART International.